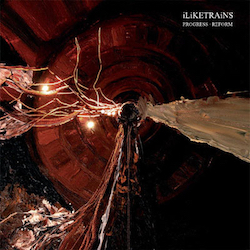 I Like Trains (previously styled as iLiKETRAiNS) are an English alternative/post-rock band, formed in Leeds, West Yorkshire, England. The group play brooding songs featuring sparse piano and guitar, baritone vocals, uplifting choral passages and reverberant orchestral crescendos. They draw their inspiration from historical failings and a pessimistic world view. On 7 April 2007, I Like Trains featured on the early-hours music television programme The JD Set, which featured live performance clips and interviews. David Martin talked about how he wanted their music to have a "sense of location" and that this was lacking in music like "Godspeed and Sigur Rós". I Like Trains have had their music featured on Hollywood film trailers, adverts and television, including an episode of CSI: Miami. 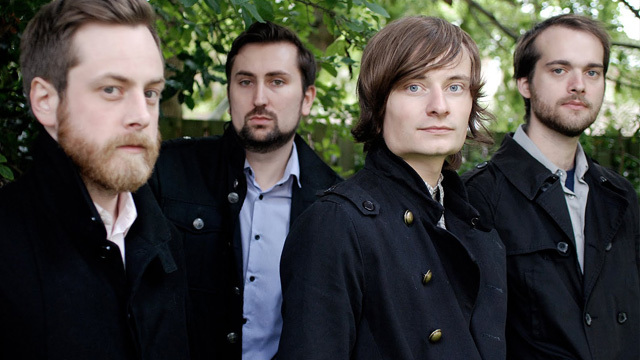 Like Trains formed in 2004 and consists of David Martin (lead vocals, guitar), Guy Bannister (guitar, synths and vocals), Alistair Bowis (bass guitar, synths and vocals) and Simon Fogal (drums), the same year they self-released a single called "Autumn 2004". In 2005 they self-released another single "Stainless Steel" and later on in the year they released their first official single, "Before the Curtains Close", on Dance to the Radio limited to 500 copies on 7" vinyl. In June 2006 they released their debut EP, Progress Reform, was released on Fierce Panda Records and the song "Terra Nova" was released as a single and it went at number 132 in the UK Chart. In 2007, they released their debut album Elegies to Lessons Learnt on Beggars Banquet Records, the songs on the album are based on tragic historical events and figures and the songs were created after thorough research and study. Three singles were released from the album, "Spencer Perceval", "The Deception" and "We Go Hunting". Elegies to Lessons Learnt then went at number 17 in the UK Indie Chart. In late 2008 the band released their second EP The Christmas Tree Ship. In 2009 the band founded their own label ILR (I Like Records) and released their second album He Who Saw The Deep in 2010 which had two singles, "Sea of Regrets" and "A Fathers Son" and in 2012 they released their third album The Shallows. To celebrate ten years in existence and also the centenary of the Brudenell Social Club, I Like Trains performed a special gig at the venue in Leeds where for the first time they performed Progress Reform in full. Progress Reform was also remastered and re-released on 4 November 2013 as a 500 copy, limited edition vinyl album. A Divorce Before Marriage, a film about the band by Matt Hopkins and Ben Lankester, has been in production since the recording of The Shallows.